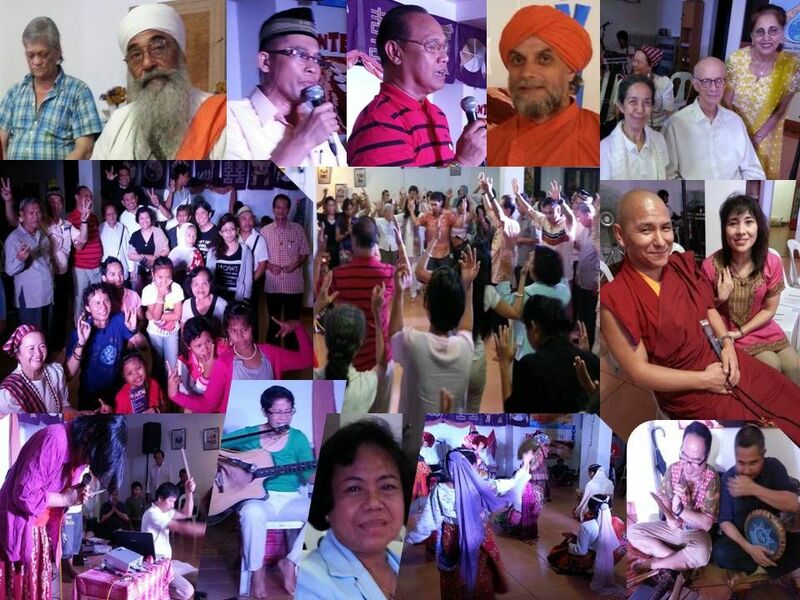 On March 14, 2013, almost a hundred people of diverse religions, spiritual expressions and indigenous traditions gathered together at the Ananda Marga Yoga Center in Anonas, Quezon City to celebrate FAITHS IN HARMONY. 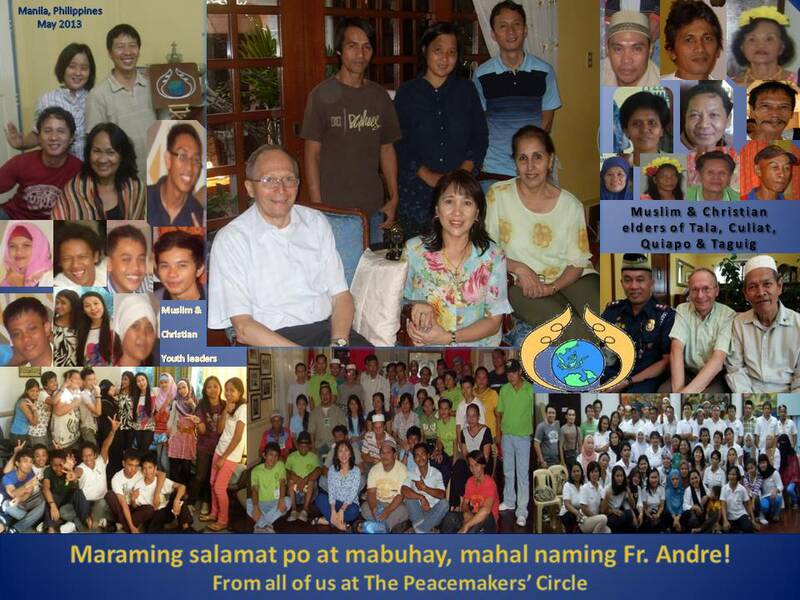 This was a joyful gathering that marked the 12th year anniversary of The Peacemakers’ Circle in its endeavors to promote Interfaith Dialogue and Peacebuilding. Despite the summer drizzle, friends and supporters came and offered prayers for peace in music and dance; old friendships were renewed, new friendships were made; and a healthy vegetarian feast not only satisfied our hunger but also nourished our souls with the spirit of friendship and solidarity. We rejoiced in our togetherness and looked forward with anticipation to the journey ahead! Today, we at The Peacemakers’ Circle give thanks for the friendship, inspiration and support that our friends have given us these past twelve years! And we look forward to many more years ahead with new hope and commitment to the ongoing endeavor of building mutually respectful and harmonious relationships between and among peoples of diverse cultures and beliefs! 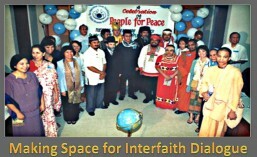 In this spirit of gratitude and joy, I am pleased to announce that in May we shall be launching our pilot project on INTRA-FAITH DIALOGUE FOR MUSLIM-CHRISTIAN RELATIONSHIP-BUILDING in the conflict-affected communities of Midsayap and Aleosan in North Cotabato, Mindanao. 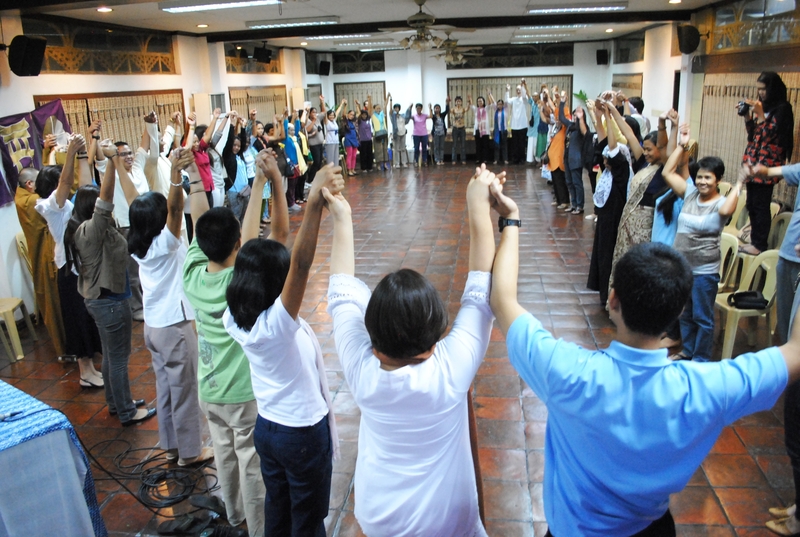 This is a one-year training workshop program that aims to promote Love and Forgiveness in those communities. This will be conducted in partnership with the Balay Rehabilitation Center, the Imam Council of the Philippines, and the Episcopal Commission on Interreligious Dialogue of the Catholic Bishops’ Conference of the Philippines (ECID-CBCP). This project is made possible through funding by the Fetzer Institute of Kalamazoo, Michigan, and the support of Dr. Ruben Habito of the Perkins University (Dallas, Texas). A film documentary on the dialogue process will be produced by Surf Reyes. While this is happening, our interfaith dialogue activities and initiatives in Metro Manila shall continue under the care of Shakuntala Vaswani and Orlan de Guzman; a weekend retreat on Inner Work for Self-Awareness Transformation is scheduled for November; and our Muslim-Christian Relationship-Building work in grassroots communities continues–in Tala (Caloocan City), Culiat (Quezon City), Maharlika-Bicutan (Taguig), and in Quiapo (Manila)–with the support of the Australian Embassy and other friends and supporters, most prominent of which is Rev. Fr. Andre De Bleeker, CICM, who has been helping to generate substantial funds (from Belgium) for our work these past five years! Thank you, Fr. Andre! Fr. Andre De Bleeker, CICM is leaving the Philippines for good on May 28, 2013. He has been assigned to take charge of the CICM archives in Rome. We are happy for him and wish him happiness and success in his endeavors! Godspeed, Fr. Andre! Once again, thank you all for being part of our enriching and inspiring interfaith journey! We look forward to growing with you as we carry on with new hope and aspirations for the future! This entry was posted in Action for Social Change. Bookmark the permalink. ← Peace is a narrow and bumpy road, Juan!